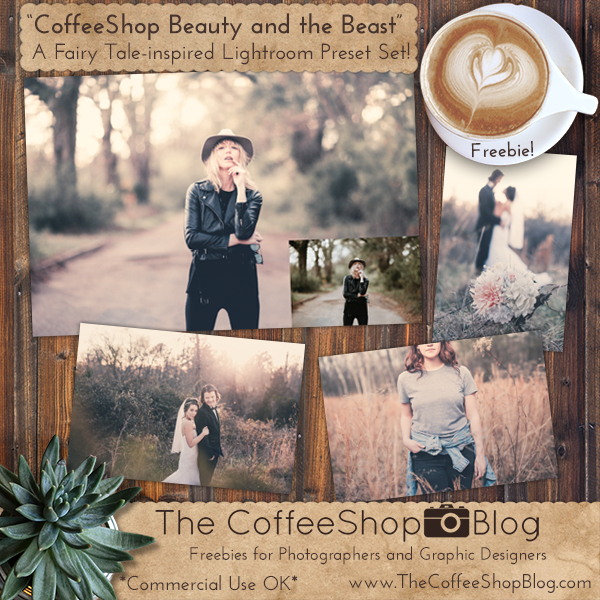 The CoffeeShop Blog: CoffeeShop "Beauty and the Beast" Fairy Tale-Inspired Lightroom Preset Set! 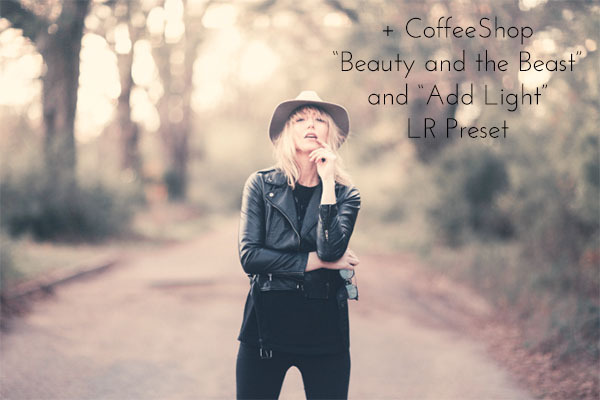 CoffeeShop "Beauty and the Beast" Fairy Tale-Inspired Lightroom Preset Set! If you follow my blog you probably know that I love to use and write my own Photoshop actions. If I use Lightroom presets I generally stick to the gorgeous ones from Pretty Presets (they are sponsors on my site and the only presets I used besides my own). But sometimes I get an urge to create some presets of my own. Today I am trying to capitalize ;-) on the popularity of the new "Beauty and Beast" movie coming out by releasing a new fairy tale-inspired Lightroom preset set. This preset set has three presets:"Beauty and the Beast", "Add Light", and "Reset it All". The "Beauty and the Beast" preset is a lovely pastel-tinted matte-enhancement and can be magical on many types of images. 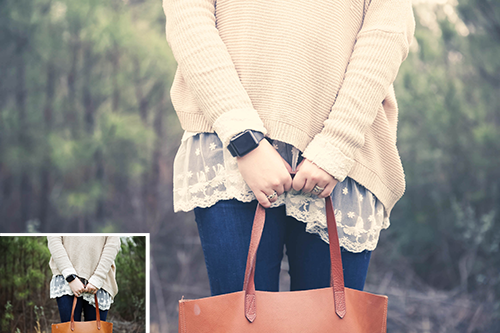 I really love using it on outdoor images with pretty light. 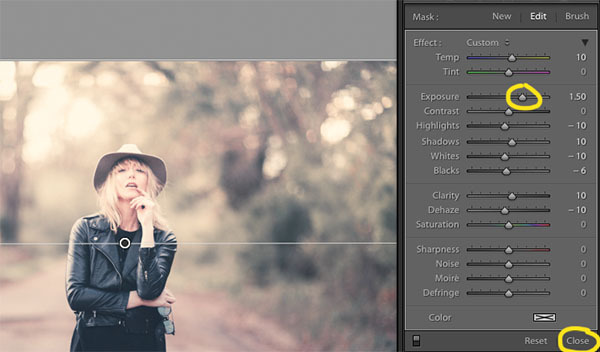 Like all presets, it is easy to tweak for your own images. You can use the "Add Light" preset on top of "Beauty and the Beast", alone, or on top of other presets/edits. If you need instructions for loading Lightroom presets, please go check out this page on Pretty Presets. Make sure you unzip the file before loading them. 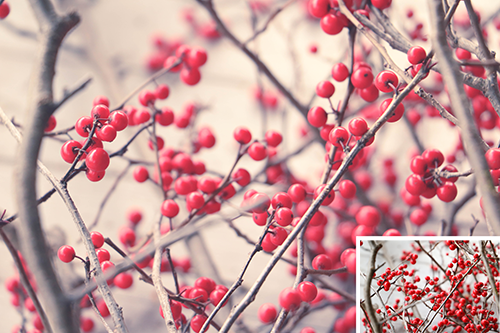 Check out my other Lightroom presets here. 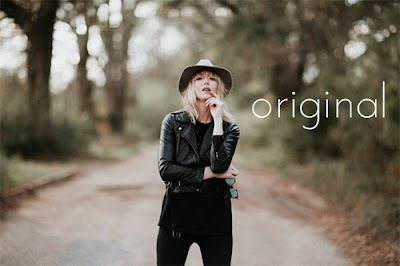 I used these original images from Unsplash in this post (girl in road, wedding couple, flower and wedding couple, girl in field, red berries, sweater and lace girl). This is the image after running the "Beauty and the Beast" preset with no adjustments. Then I clicked on the "Add Light" preset in the set. 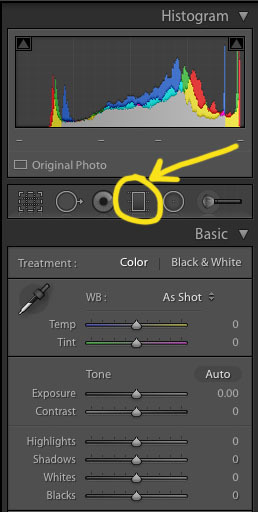 If you want to adjust the light you will have to adjust the graduated filter (M). 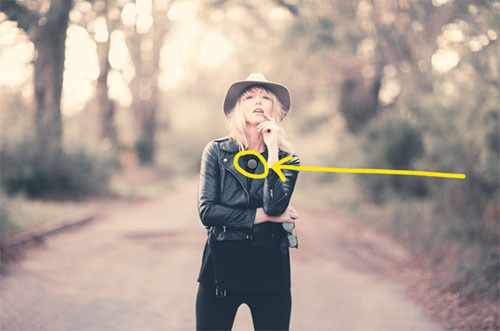 Find the Graduated Filter tool as seen in the screenshot above circled in yellow. Click on it. Look at your image and you will see all of the graduated filters marked with a gray circle, as seen above. You can hold your mouse over the gray circle to see a red tint where each filter is applied on the image. Click on the gray circle and you will be able to adjust its settings. I don't change much on this gradient filter, but I do adjust the exposure to add/remove light and also adjust the clarity. Feel free to adjust any of the sliders to taste. You can also grab the gradient and move it around your image. In this case I should move it up because I feel there is too much light on her face. Once you are satisfied with your edit, click Close. 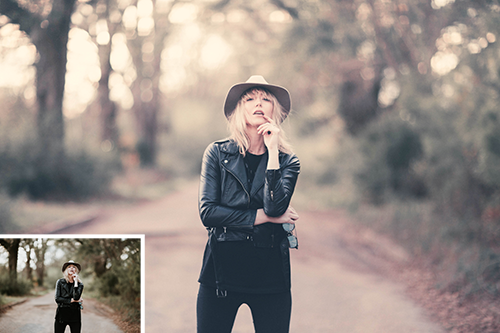 I hope you enjoy this new Lightroom preset set! I would love to see your own edits on my Facebook page. Download the CoffeeShop "Beauty and the Beast" Lightroom Preset Set! These are fabulous Rita. I am going to share with my camera club and post on my photography page on FB. Thank you so much Kimi!! !